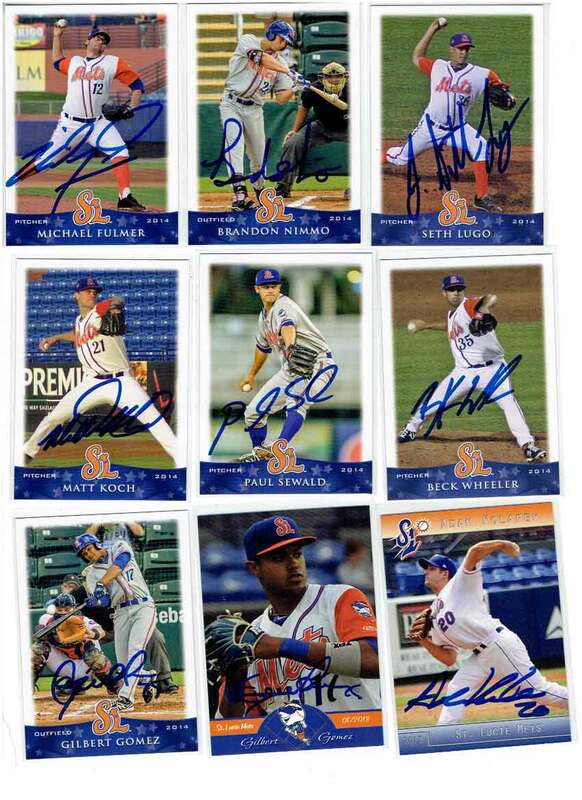 This week was the first time I’ve gotten autographs at a baseball game in 2015. 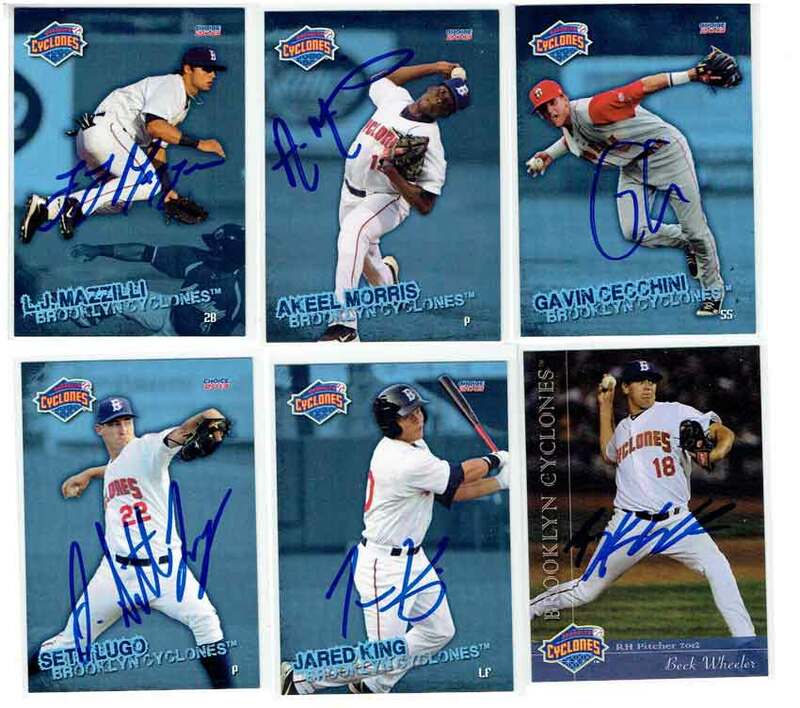 The Binghamton Mets signed 34 baseball cards for me before and after the final game of their series in Trenton on Sunday. 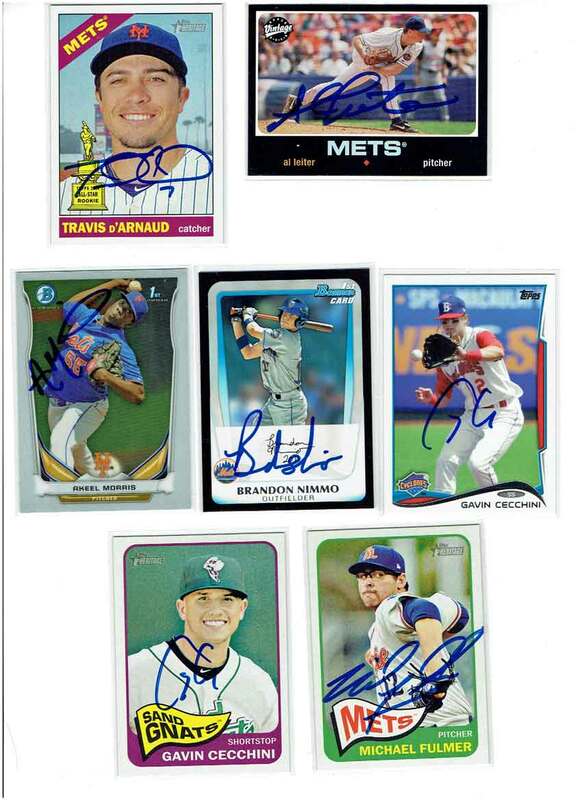 Then on Tuesday night, MLB Network analyst Al Leiter was signing autographs at the Trenton Thunder game against the Portland Sea Dogs. I also got one card back in the mail this week. 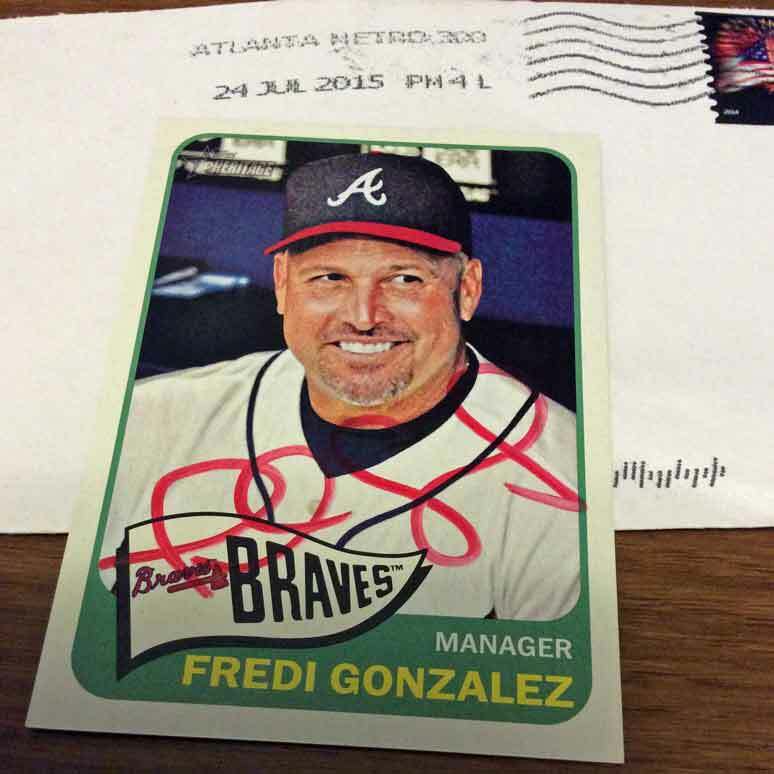 Atlanta Braves skipper Fredi Gonzalez signed a 2014 Topps Heritage card I sent to him in mid-July. I may try to send out a few more letters this week. Looks like you did real well at the game. 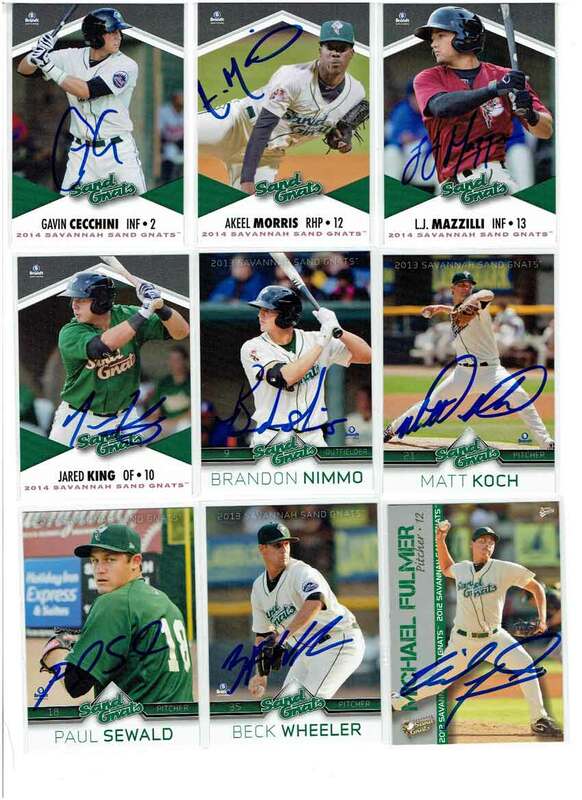 Cecchini’s autograph is a little lacking, but the rest all look good. If you are ever able to get an extra a Jared King, shoot one my way. Loved watching him play at Kansas State. 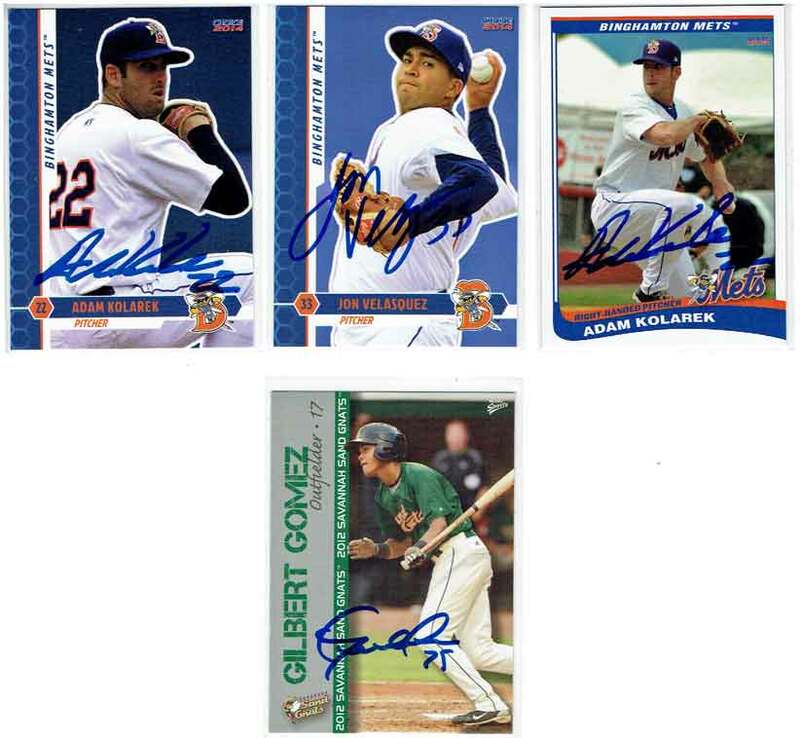 I was more impressed with Garin Cecchini’s autograph – he manages to make his initials seem more artistic. Unless Binghamton meets up with Trenton in the playoffs, I don’t think I’ll have a chance to see them again this year.